With a theme of being a “refuge from lies and delusions” about race in America, the annual American Renaissance (AmRen) conference last weekend in rural Tennessee drew the largest audience since 2008 – a benchmark cementing it as the premier annual white nationalist event in the United States. Despite the larger audience of about 200 participants, the broader themes remained remarkably similar to previous years: IQ differences between the races, opposition to non-white immigration, a call for community among white nationalists and questioning whether the American political system can be used to a white nationalist advantage. But let’s not forget the virulent anti-Semitism sitting deep at the heart of the conference. 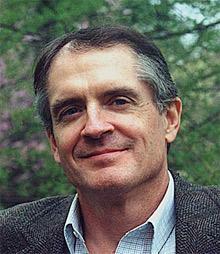 While American Renaissance founder Jared Taylor historically has avoided public criticism of Jews – a fact that has made him a polarizing figure among his fellow white nationalists – others at the conference have not been so careful. For example, during his comments at the conference, held in Burns, Tenn., Peter Brimelow, founder of the racist website VDARE, remarked that nobody under the age of 40 remembers the Cold War. But he quipped that “surprisingly” most know about the Holocaust. Brimelow called those promoting criticism white nationalist position, “the Holocaust-haunted rich," a claim he has made before. John Derbyshire, the prominent white nationalist who was fired from the National Review in 2013 after writing an essay encouraging white and Asian parents to warn their children that blacks are dangerous, spoke about the “disproportionate” Jewish influence on American society. And copies of the blatantly anti-Semitic journal Occidental Quarterly, edited by anti-Semite Kevin MacDonald, were available for sale. MacDonald once wrote, "Jews won the culture war without a shot being fired and without the losing side seeming to realize that it was a war with real winners and real losers — where the losers have not only given up their cultural preeminence, but have failed to stand up to the ultimate denouement: demographic displacement from lands they had controlled for centuries. The new elite retains its outsider feelings toward their new subjects — a hostile elite in the United States as it was in the Soviet Union." Blacks and immigrants were also the brunt of many jokes and visceral racist speech. On Sunday, Taylor held a session honoring Sam Francis, an essayist who 10 years after his death still remains one of the most influential white nationalists. Taylor played clips of Francis’ speeches at previous AmRen conferences. In one speech, remarking on his dramatic weigh loss, Francis stated, “I now know what it feels like to be 3/5ths of a person,” he said – a reference to the Three-Fifths Compromise reached between delegates from southern and north states in 1787 over how to rank slaves when measuring a state’s population. For Taylor, though, he was unable to fight back the tears as he called white nationalist Sam Dickson to the podium to honor Francis. Almost all of the speakers touched on non-white immigration to America and Europe. Richard Spencer of the white nationalist National Policy Institute (NPI) told the crowd that the demographic changes in the United States due to non-white immigration are already irreversible. He flaunted his arrest in Budapest after attempting to hold a white nationalist gathering in Hungary last year, and he could hardly contain his glee as the crowd applauded and praised him for being an “international thought criminal,” a phrase he frequently has used to describe himself since his arrest. Some of the more extreme anti-immigrant ideologues also attended the event. Another of the VDARE leadership team James Fulford joined Brimelow at the conference. Material from two other extreme anti-immigrant groups, Carrying Capacity Network (CCN) and Population-Environment Balance, was distributed to attendees. CCN is led by white nationalist Virginia Abernethy, a former board member and vice presidential candidate for the white nationalist American Freedom Party (AFP). A significant number of young people attended the AmRen conference, continuing a trend growing readily apparent in the last few years. 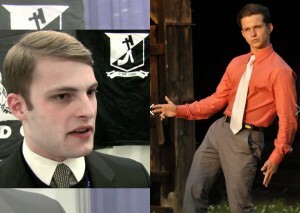 Many younger attendees preferred to use an alias to hide their identities, but others like Matt Parrott of the Traditionalist Youth Network and Dan Poole of AFP, both of whom have been active in the movement for years, chose to use their real names. Devin Saucier (YouTube), left, and Patrick Sharp (Facebook), right. Surprisingly, two of the younger activists with a history of involvement with racist groups also hid their identities. For the past several years, Devin Saucier, a former leader with the racist student group Youth for Western Civilization, has worked as Jared Taylor’s assistant. Another of the younger generation helping Taylor with the event this year was Patrick Sharp, founder of the white student union at Georgia State University in 2013. But like many white nationalists, they, too, chose to hide who they really were.